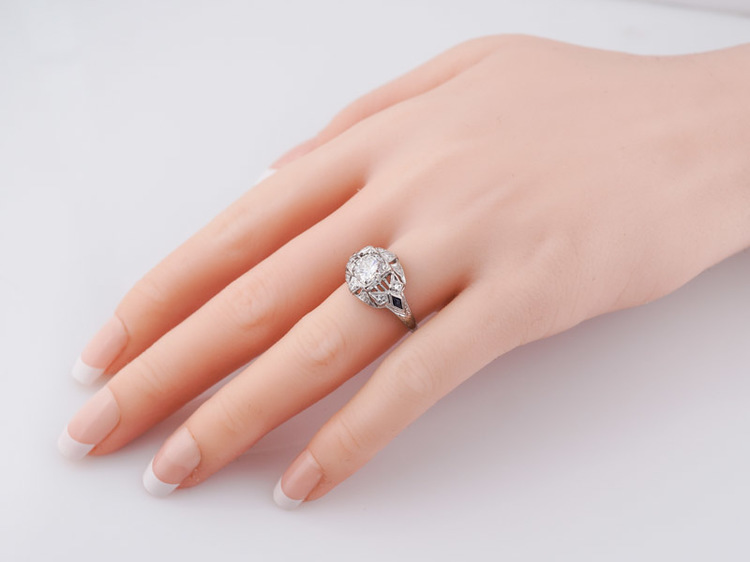 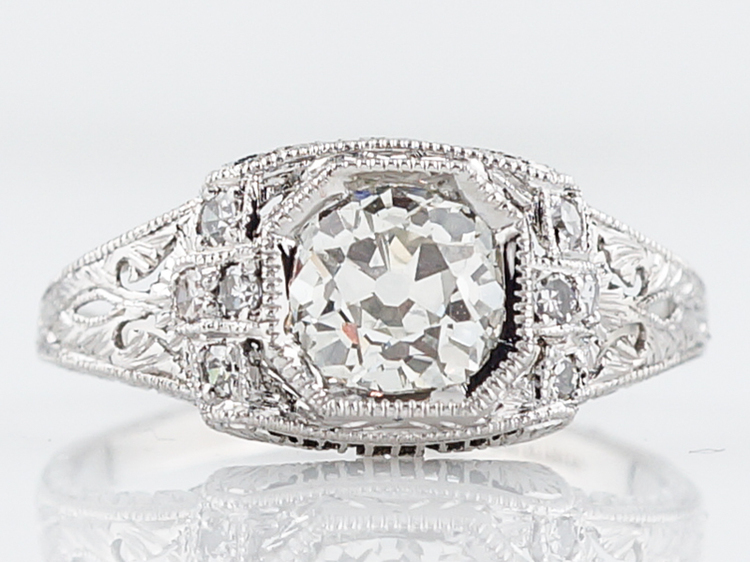 This original art deco engagement ring features a 1.00 carat round brilliant cut diamond in a platinum mounting. 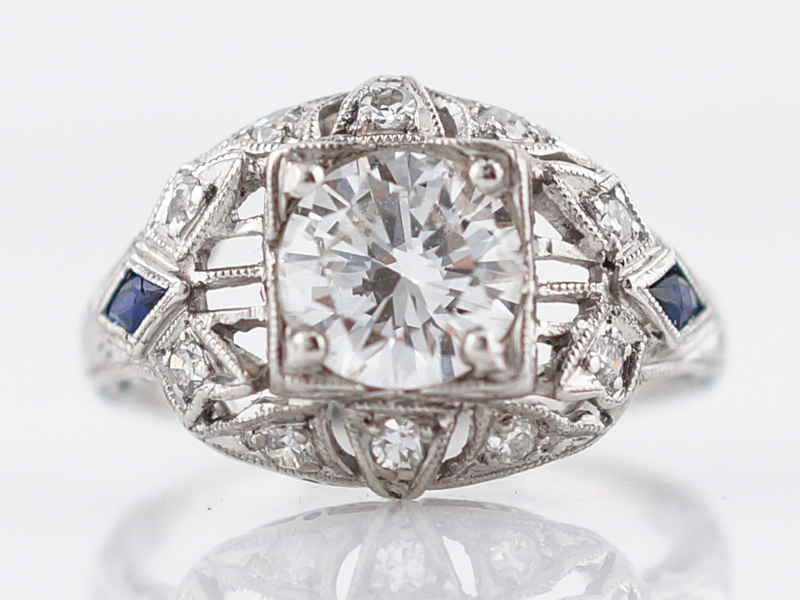 The center diamond is prong set in a square carriage, giving the diamond a prominent look. 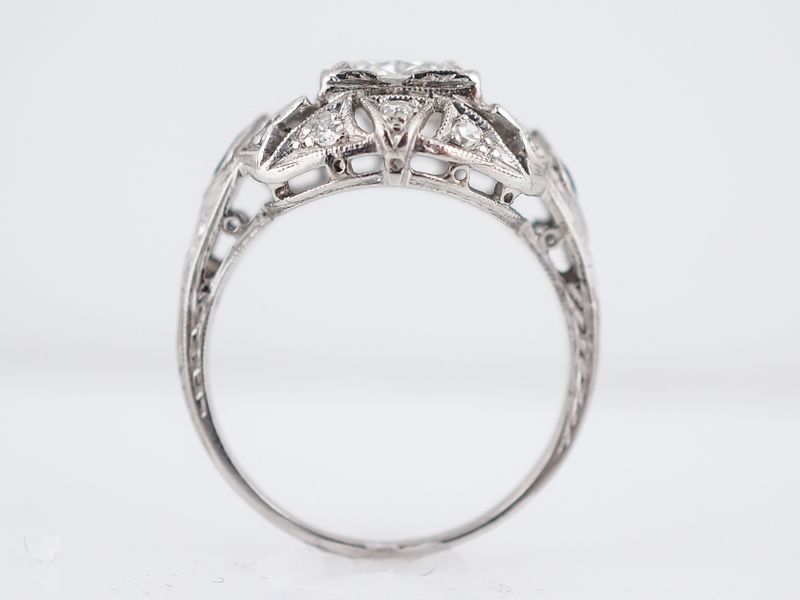 The carriage features exquisite open filigree work and ten (10) single cut diamonds create extra sparkle and brilliance. 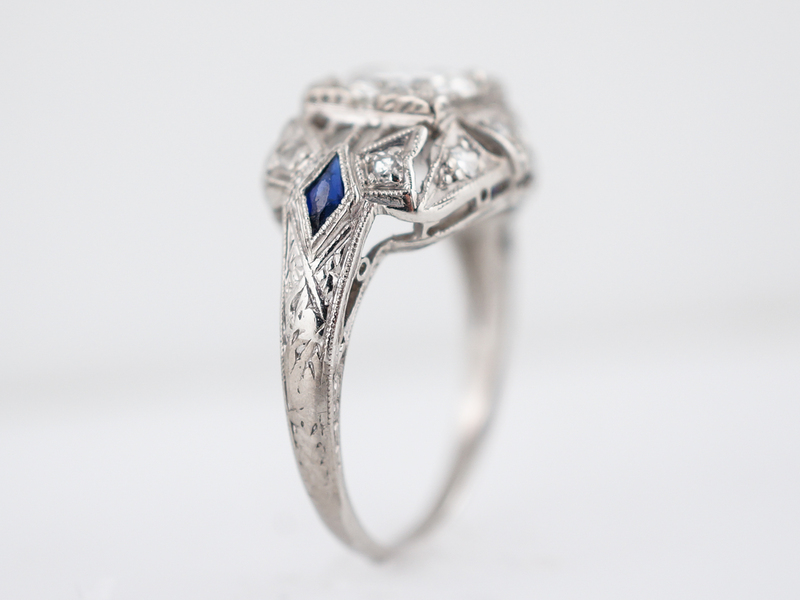 Two (2) trilliant cut sapphires are set into the shoulders of the ring, adding to the bold look. 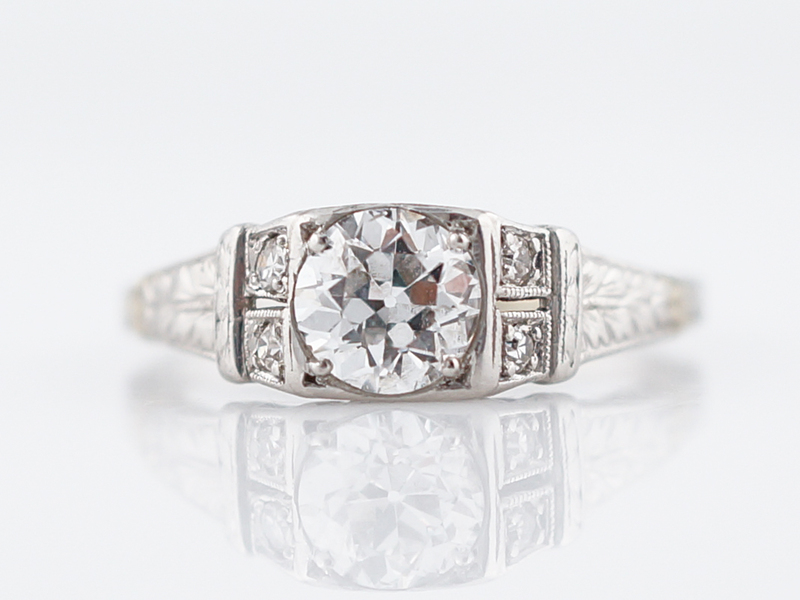 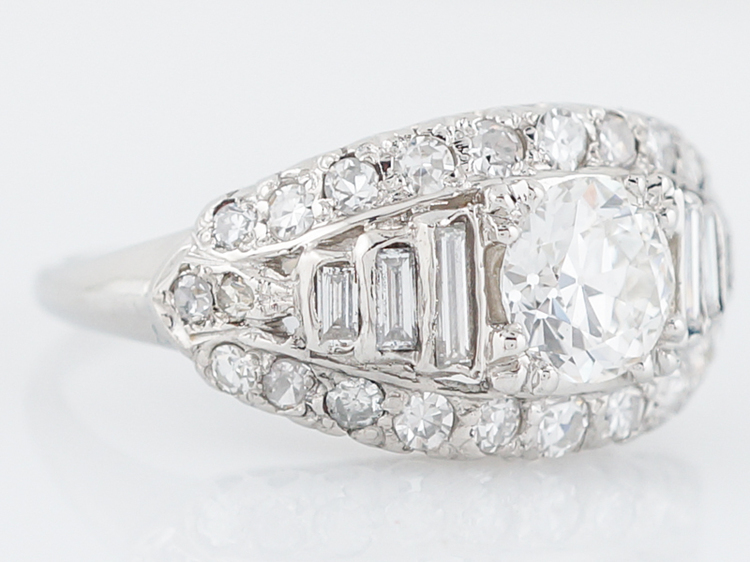 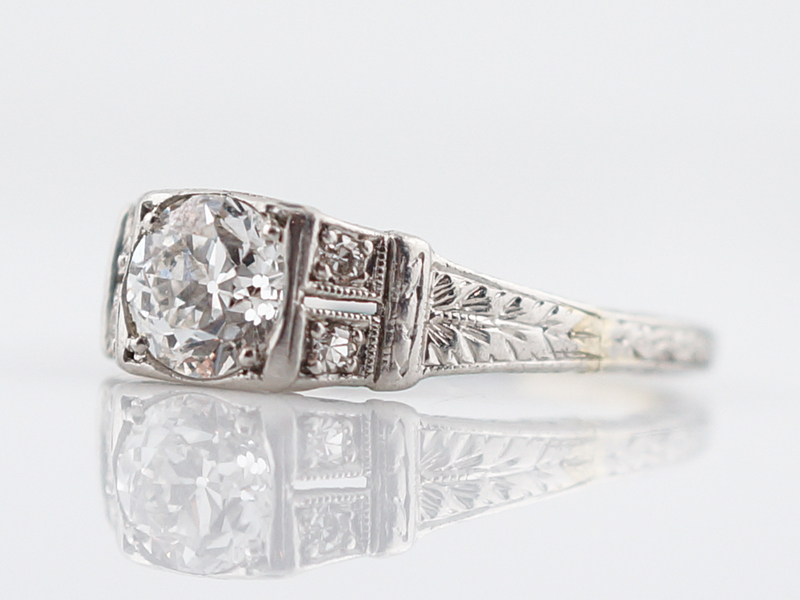 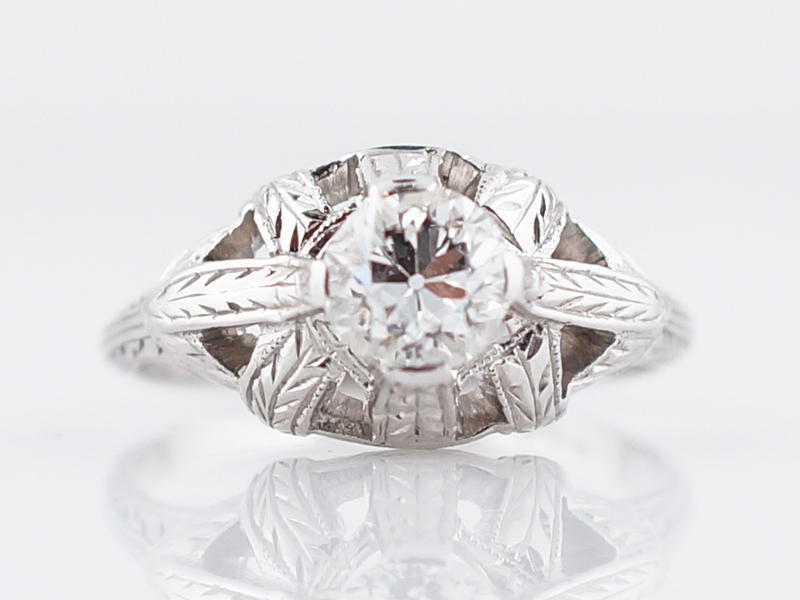 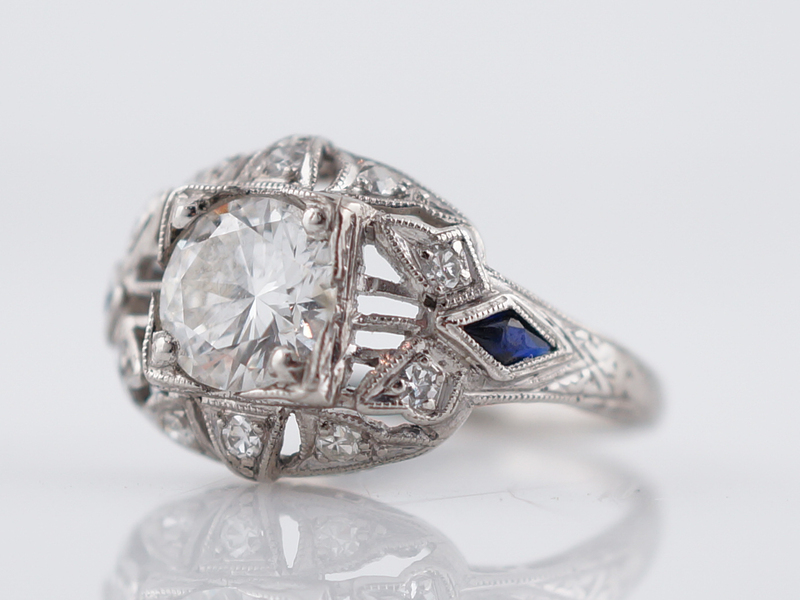 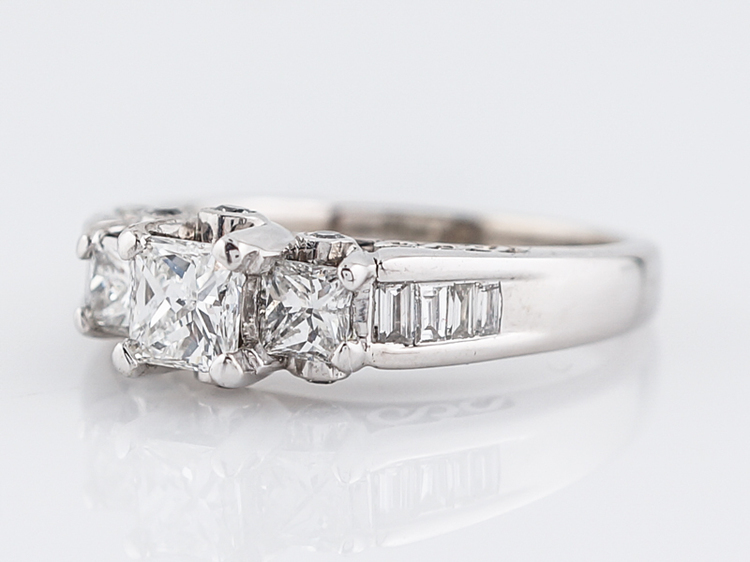 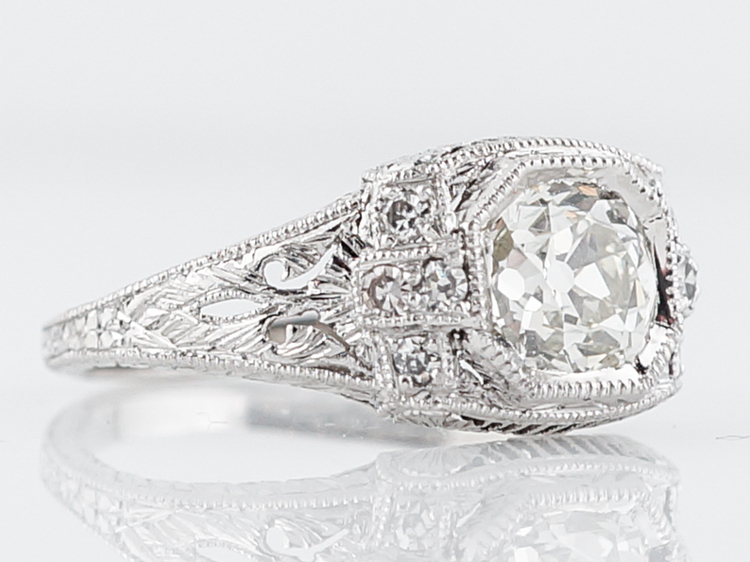 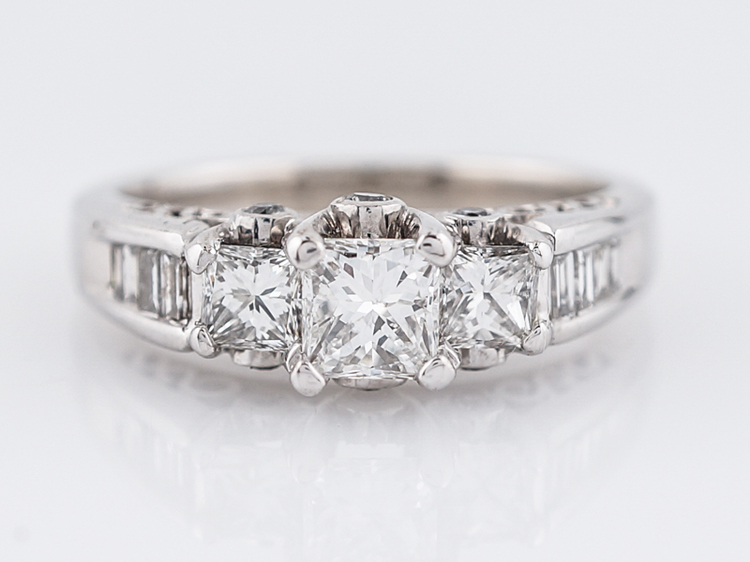 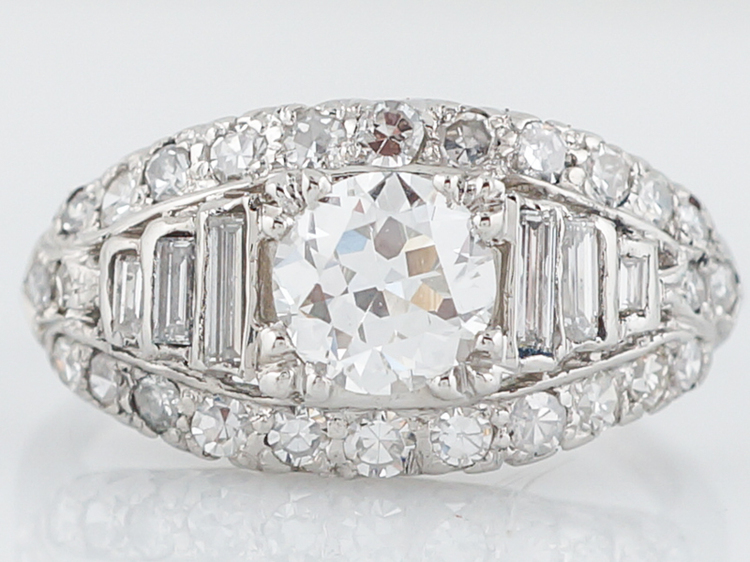 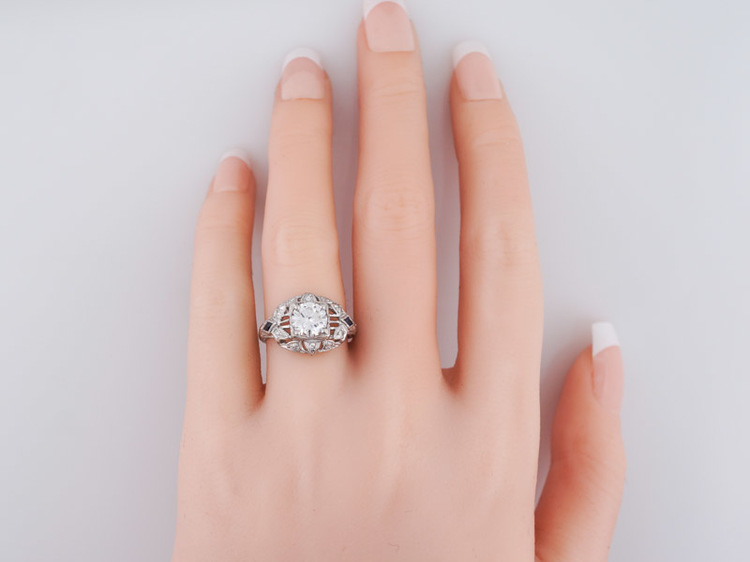 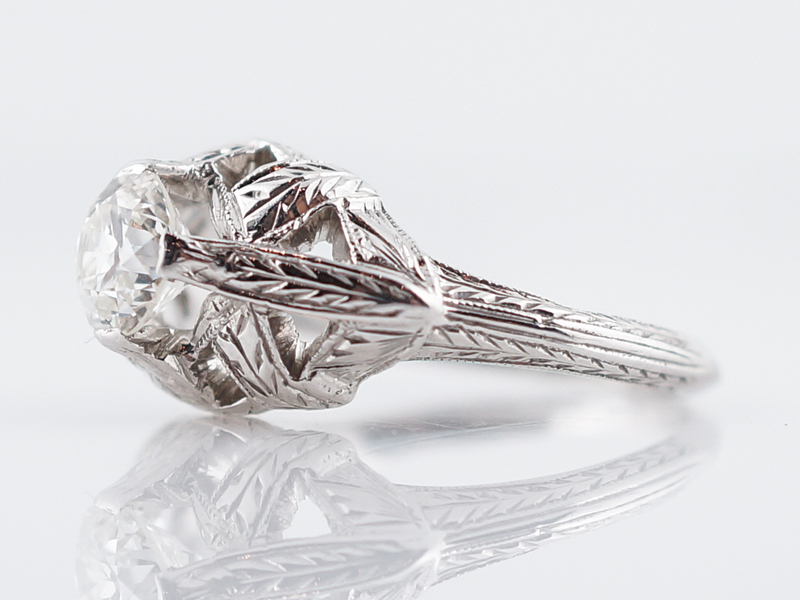 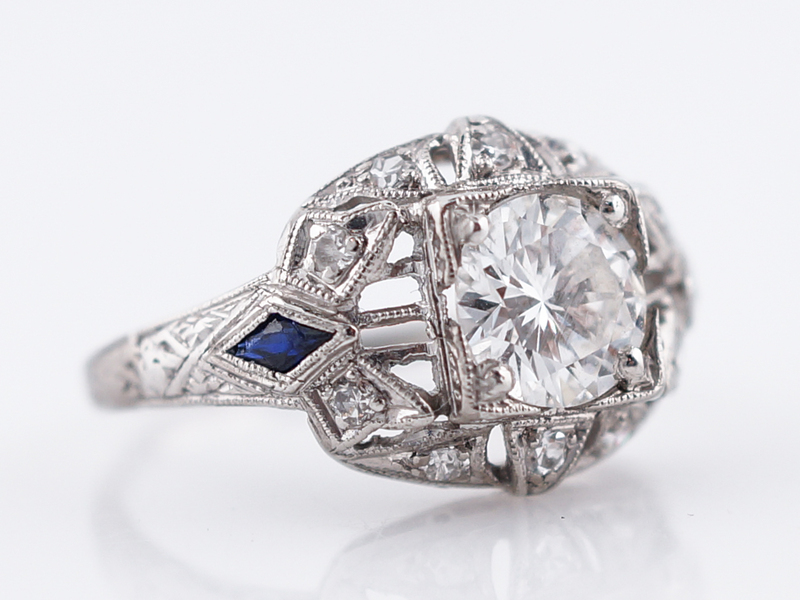 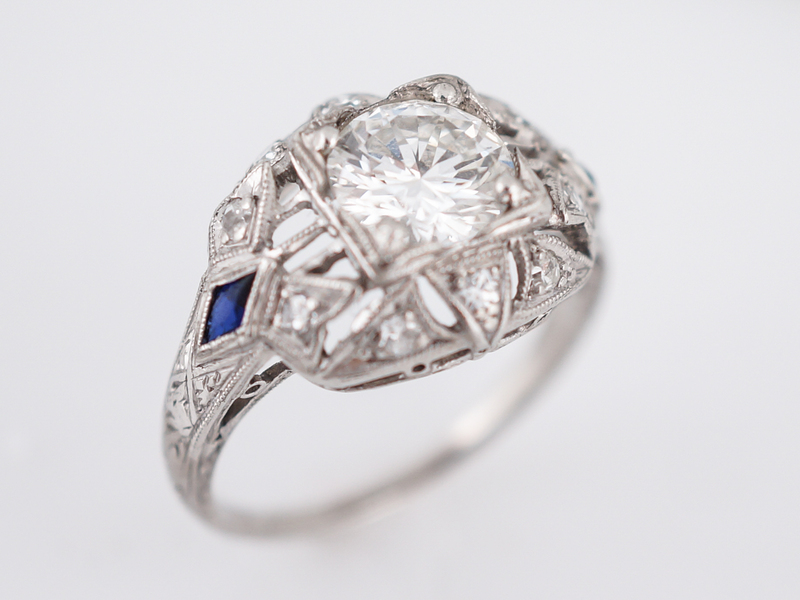 Original milgrain detail and engraving rounds out this spectacular art deco engagement ring.